When it comes to financial planning, Bill Kelso’s track record is his calling card. With more than 40 years of experience in the financial services industry – 30+ of which is specifically in the financial planning and investment advisory space – Bill’s commitment to serving clients and handling the most complex of financial planning opportunities is second to none. A seasoned CERTIFIED FINANCIAL PLANNER™ and CPA who takes pride in guiding clients through often uncharted waters, Bill’s diligence, wry sense of humor and sincerity are the cornerstones of his many business successes. Based at Pinnacle Financial Advisors’ Sedona office, Bill is involved in all aspects of client service, especially developing new client relationships for the firm, while also assisting with the management of existing client relationships. While specializing in tax and retirement planning, as well as esoteric income portfolio strategies, he creates, implements and monitors client planning strategies in conjunction with the rest of the Pinnacle team. Bill joined the Pinnacle Financial Advisors team in conjunction with Seros Financial, an independent financial planning and investment advisory practice, after the two like-minded firms formed a working partnership. At Seros, Bill was instrumental in leading the financial planning function for many key clients. With a career as deep as it is broad in finance, including working at a Big 8 accounting firm and American Express Financial Services, Bill was also heavily involved in weighing in on fee-based advisory models as part of a national task force at SunAmerica Securities that developed the platform for fee-only advisory services. These experiences led him to start his own firm, Financial Planning Strategies Group, where he quickly realized that smaller, more dynamic firms could be more nimble and thoughtful in serving clients. This has become part of his mantra in serving clients today. In addition to being a CFP® and CPA, Bill holds his FINRA Series 7, 24, 51, 63 and 65 securities licenses, in addition to Arizona life and health insurance and variable life and variable annuity licenses. 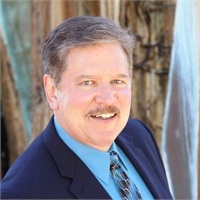 He earned a Bachelor of Accounting and Business Administration from Adams State University in Alamosa, Colo.
Bill lives in Sedona with his wife Laurie and their daughter Marley. They can be found hiking and enjoying Sedona’s scenic outdoors.